Raising vegetarian kids, but struggling with picky eaters, too? No problem. These vegetarian dinner recipes are designed especially with kids' tender taste buds in mind. 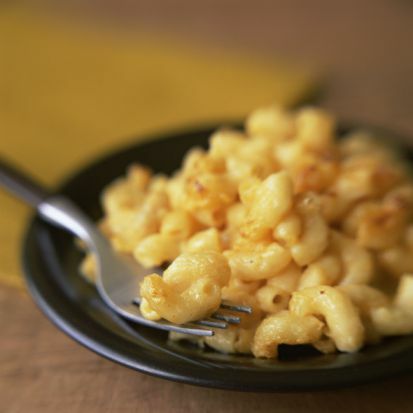 Many are traditional kid favorites, like macaroni and cheese and pizza, while others may be new to them (and to you). Don't be surprised if all of these recipes become part of your regular weekly repertoire. It doesn't get much more kid-friendly than mac and cheese. And this homemade version is so much better than any mac and cheese you could get from a box (including the organic, all-natural boxed stuff). Made with two kinds of cheese, this recipe is a winner with both kids and adults. Stuffed shells with spinach and ricotta cheese are comfort food, and this version doesn't disappoint. Serve with a green salad and garlic bread. This recipe also makes a terrific freezer meal. Just make it in a disposable foil pan. Cool completely, then wrap tightly in plastic wrap and foil. You can freeze for up to three months. Before serving, thaw completely in the refrigerator, then warm in a 350-degree oven for 30 minutes or until warmed through. You can serve this Mexican rice recipe as a side dish or main course. The black beans add plenty of protein. And because this is a completely no-sweat recipe (you just dump everything in an enameled cast iron dutch oven (compare prices), and let it bake! Even kids who claim they don't like spinach somehow always seem to like this baked ziti with spinach recipe. Whole grain pasta gives this dish a nice nutritional boost. Two kinds of beans, rich in protein and fiber, make this a hearty and healthy vegetarian enchilada casserole dinner. Kids love the idea of having "pie" for dinner, and this recipe is actually easy enough for them to make all by themselves. This butternut squash lasagna has a sweet, mild taste. We use oven-ready lasagna noodles for this recipe to make it easier. No boiling necessary! They say what grows together goes together. That's why we include zucchini and yellow squash in this fresh tomato sauce. If you happen to have green or red bell peppers on hand, they would make a fine addition to this sauce, too. Serve this pasta with fresh tomato sauce topped with plenty of freshly grated parmesan cheese.